Did anda try to make your own ambigram after membaca A&D? Which one of Robert Langdon's leading ladies do anda like better? Langdon has appeared in 3 novels. anda think Dan Brown should leave at a high and explore new characters? I mean DP and DF were amazing, right? pilihan fans: No. Can't get enough of Langdon. Which leading lady do u prefer Robert Langdon with? Are anda planning to read Dante's 'Divine Comedy' before the selanjutnya Landon novel 'Inferno' comes out in May? Why is the Cryptex out of order? Help me! Hello! I just created a new fan spot for The lost Symbol. Please feel free to join. Thank you. Hello everyone, I will menulis a review on Dan Brown's latest novel to which I managed to finish membaca it a couple of weeks ago. Once again, the story fascinates me starring Robert Langdon on his new adventure. This time, the theme deals with religion and science, but most importantly Atheism. An interesting topic indeed! Just like Robert Langdon anda have to solve mysteries and small puzzles to find the Holy Grail and escape the room. anda are professors in art history and antiquities, and anda have recieved a mysterious letter from an old professor in history called Johannes Klosterberg. The letter doesn’t say much, except that he is in great danger and that he needs your help. He wants to bring anda information about the existence of the Holy Grail and the evil Brotherhood of the True Emperors who seek to find the Grail and use its powers for evil purposes. Hi guys, I had read Digital Fortress and this book is the first without Robert Langdon. The story is very unpredictably scary, because anda know that something is going to happen at the end of the chapters. I'm glad that Susan and David got married each other in the end, despite that they were separated for the majority of the story. Hi guys, I managed to watch the film just now, FINALLY!! I am very impressed oleh it and I'll write down the review and comparing it to the original novel as well. Hi guys, I had read the book and I have to say it's also a must read like his sebelumnya book with Robert Langdon. So here is my review of it! Like malaikat & Demons, the story introduces me to the Freemason, which is the sister organisation to the Illuminati. It is also a father and son moment when the former found our that his son is a bad guy, very much like bintang Wars. Hi guys, I cinta the Robert Langdon's novels and I had seen the film too. So here are my reasons on why I'm excited about the upcoming movie! I cinta to go to Italy, and Florence is one of my puncak, atas destination. It also introduces me another famous artwork, which I will write about it later. I am very glad that the movie will guide me on where to go while in Florence! Florence Inferno is a new blog for fan of Dan Brown’s 2013 thriller, Inferno. As a companion to the book, it takes readers deeper into the mysteries unveiled in the novel recounting the stories and legends behind the sites, symbols and artwork. Florence Inferno includes notes about Inferno symbols, as well as about Florentine art and history quoted in the novel. Inferno readers can contact the bloggers behind FlorenceInferno.com at info@florenceinferno.com to request an in-depth examination of any place, painting atau symbol in the story. First we had The Da Vinci Code, and now the release of The Walt disney Code. RELEASED FOR THE FIRST TIME, NEVER BEEN SEEN BEFORE. A universal language veiled through symbolism, spoken, written atau through pictorial expression. In our present hari disney has been the great communicator of this sacred language. Hidden in plain sight. As anda will see he loves embedding hidden meanings. A new tour of Rome, inspired oleh malaikat and Demons, is now available for the iPhone! 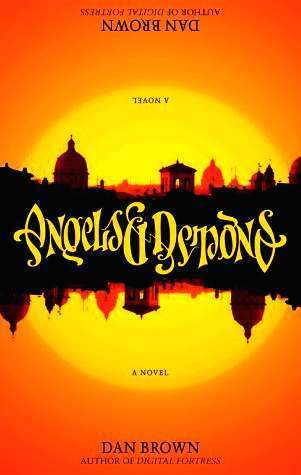 'Angels & Demons' was published in ? Is the conspiracy theory described in the Last Symbol real? The release of The Walt disney Code.